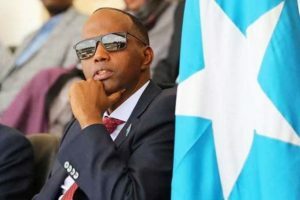 Waagacusub.com - Several members of Prime Minister Hassan Ali Kheyre's cabinet and senior government officials including close associates have been linked to money laundering, graft and corruption, according to sources. Some officials have allegedly been extorting businesses and NGO's, receiving illegal kickbacks, and steering inflated contracts to politicians, friends and family members as part of corrupt scheme. While other officials have misused development funds for regions, laundering millions of dollars to private bank accounts in Nairobi, Doha, London and Toronto. Prime Minister Kheyre has been aware of the graft and corruption, and despite public claims to be fighting corruption, has selectively chose not to take actions against close associates, choosing instead to safe them while using the auditor general as a tool to harass, fire and arrest oppositions and lower-level officials, as part of a distraction and intimidation strategies. Under Prime Minster Kheyre’s and Fahad Yasin’s stewardship, corruption and cronyism have become widespread at all levels of the federal government, and is an expected form of behavior, to obtain employment and political appointments. The misuse of public goods and services and the solicitation of bribes in exchange for basic services have risen sharply, according to experts. There are reports that PM Kheyre personally uses revenue from Mogadishu Port and Airport as a slush fund to gain political influence of the members of parliament and clan elders. 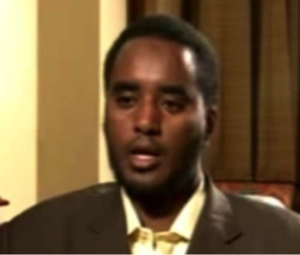 Among the officials linked to extortion, money laundering, graft and corruption are Fahad Yasin,the Deputy Chief of the National Intelligence and Security Agency (NISA), Gamal Mohamed Hassan, the Minister of Planning, Khadijo Mohamed Diriye, the Minister of Youth and Sports, and Abdirahman Dahir Osman, the former Minister of Education. Fahad Yasin, the Deputy Director of NISA and the former Chief of Staff of Villa Somalia is a target of international criminal investigations by western and regional governments looking into allegations of money laundering, terrorism financing, graft, and public corruption, according to people familiar with the matter. According to sources, while under surveillance, Fahad often transferred millions of dollars from Qatari sources linked to terrorism financing to shell accounts in Nairobi, Doha and Istanbul and then forwarded the funds to accounts linked to individuals associated with extremists. Investigators have documented cases were individuals based out of Kenya, Qatar and Turkey accused of illicit finance transferred funds to Fahad. All the individuals linked to the transactions were under sanctions for links and financing extremist groups in Somalia, Kenya, Iraq, and Syria. In one case, investigators suspect approximately $3 million were wired to NISA’s accounts and delivered to extremist financiers in Mogadishu, according to sources. In addition, Fahad who is been investigated by Kenya for fraudulently obtaining Kenyan passports with different names and birth dates transferred approximately $2 million from illicit Qatari sources that were stashed in Nairobi to the bank accounts of his wife and family members. Reports suggest Fahad is moving his family currently in Kenya to Qatar and Turkey, recently purchasing homes in Doha and Istanbul. Gamal Mohamed Hassan, the Minister of Planning, Investment and Economic Development is facing serious allegation of corruption and graft, involving extortion, pay to play and illegal kickbacks, according to sources. The minister has allegedly used his office to enrich himself, receiving millions of dollars of illegal kickbacks from local development contractors, Non-government Organizations (NGOs) and foreign companies. Minister Gamal who is not a member of parliament in response to PM Kheyre’s call to convert all of the cabinet members to parliamentarians, as a strategy to secure his administration completes its four year term, and to have an immunity, has recently negotiated purchase of a parliament seat from a member of his Warsangeli sub tribe for $300,000 dollars according to people familiar with the matter. Minister Gamal allegedly extorted money and a vehicle from local Mogadishu businessman who has contracts with the ministry of planning, giving the businessman a choice between losing international development contracts or pay the amount. The businessman paid the first instalment of $100,000 to the Member of Parliament and delivered the vehicle to the minister. 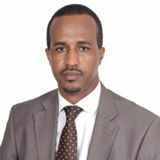 According to reports, Minister Gamal struck a deal with Dhahar Ali Farah, to resign from his parliament seat and promised him a counselor position at the Somalia’s embassy in Djibouti. Mr. Dhahar has received pledges from Prime Minister Kheyre including $10,000 per month payment diplomatic salary. In addition, Minister Gamal has been involved in a contract-steering scheme, rewarding corrupt politicians allied with PM Kheyre, friends and business associates with international development money instead of seeking most qualified and cost-effect bidders. The minister and his associates allegedly misused funds from Qatar and the United States Agency for International Development (USAID) for the regions, laundered millions of dollars to personal accounts linked to PM Kheyre and Fahad Yasin for use against Federal Member States, according to people familiar with the matter. Federal Member States allege that the Ministry of Planning has become a political tool and weapon PM Kheyre and Fahad Yasin’s use to undermine Somali regional governments. Since taking charge, Minister Gamal and his cronies skimmed millions of dollars from development funds, leaving the regions with no funds for development and economic assistance support, leading to increase political and security challenges that is now internally paralyzing relations between the federal government and federal member states. Enter Khadijo Diriye, the Minister of Youth and Sport is Prime Minister Kheyre’s closest friend and adviser. A member of parliament, she has been his enforcer and biggest advocate inside the parliament. As a result, Minister Khadijo has gotten away with misusing public funds for personal gains. She has been using the ministry resources to finance her lavish lifestyle. She has also been accused of extorting NGO’s and local businesses development funds designed to reduce youth unemployment and counter Al Shabaab appeal. On the other hand Abdirahman Osman, the former Minister of Education was a close friend and associate of Prime Minister Kheyre for many decades in Somalia and Norway. Minister Abdirahman was dismissed in late July after he was accused of extorting universities and claimed the ministry did not recognize public and private universities. According to sources, Minister Abdirahman was also accused of selling public schools in Mogadishu to private developers. He was fired after community leaders and civic societies complain against the minister escalated to the international community. In conclusion, Somalia is considered among the most corrupt countries, a factor contributing to the poor security, the stunted development and impoverishment of the state. The Parliament, of the Upper and Lower house, should no longer ignore the graft and corruption in the country by the executive branch. These officials are damaging the work of repairing the country, and the progress of building peaceful and prosper Somalia.